Chivayo had approached the High Court for stay of proceedings pending a determination of his application for review he lodged with the same court in November last year after the magistrates' court rejected his request for exception to the charges. In his ruling on Monday, Justice Joseph Musakwa upheld the lower court's analysis of the exception to the fraud charges. "Therefore, in light of there being no formal defects of the charges, it follows that the review application has no prospects of success in respect of those counts," ruled Justice Musakwa. The court gave the lower court the green light to proceed with the trial in respect of the three viable counts. 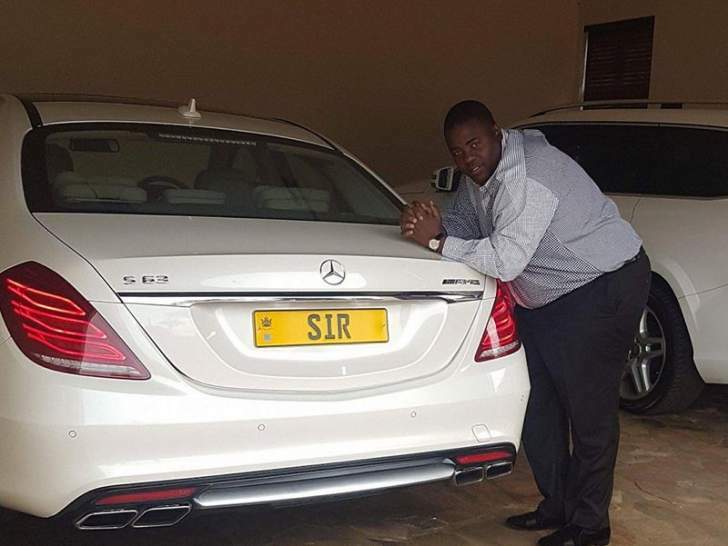 "Therefore, it is ordered that the criminal trial of the applicants (Chivayo and his company) before the second respondent (Mr Ncube) under case number CRBP911-5/2018 is suspended only in respect of the third count," he said. Chivayo pleaded and excepted to the charges in terms of Section 171 of the Criminal Procedure and Evidence Act. He argued that the basis of the exception to the fraud charges emanated from the Engineering, Procurement and Construction contract. "When information regarding contractual commitments was requested from complainants, they allegedly submitted details of sub-contractors who were purportedly paid. However, the alleged sub-contractors are said to have distanced themselves from the claim," said Justice Musakwa. Evidence established that the funds were used to buy vehicles, air tickets, pay school fees and the settlement of civil suits. Other funds were allegedly fed into VISA cards ostensibly for purposes of purchasing earthmoving equipment from Pietznack Plant and Earth Moving Services in United States of America. Justice Musakwa said from plain reading of the law, it was clear that an exception to a charge is based on formal defects that are apparent. "That is not the basis on which exception to the fraud charges was taken in the present case. That the conduct complained of is purely civil in nature as it arises from a transaction that is governed by the Procurement Act and Regulations is not an objection to the defects that are apparent on the charges of fraud," he said. The court found the third count under the Exchange Control to be defective for lack of essential elements disclosing an offence. He said it was difficult to fathom what it is Chivayo and his company were expected to comply with in terms of the rules of Exchange Control Regulations. "The material averments constituting a violation of guidelines were not stated, hence the basis for liability was not laid out," said Justice Musakwa.